Occasionally customers will request specialty work that is out of the realm of mainstream monument shop design services. 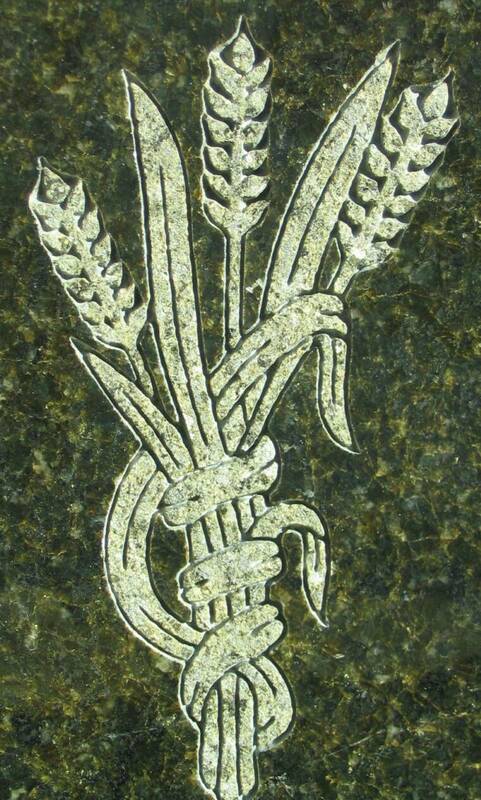 The above is an example of Egyptian motifs over 4,000 year old. They are based on authentic icons, symbolism & proportions but rendered without modern distortion or stylizations. To some, the overall design may seem awkward. To those versed in correct ancient proportions the design is a faithful representation of proper iconography in every detail. The family of this lovely woman wanted her life memorialized with elements that were relevant to her many years spent in her favorite country of Egypt. This 4-foot granite monument displays the Egyptian barque of the sun with it's rejuvenating eye, a symbol of resurrection, while gentle papyrus stalks correctly flank & support each feature. Her portrait is mounted in a shen cartouche, the sign of eternity. The winged sun disk was used to protect entrances & dutifully performs the same function here, hovering in its proper place at the cavetto of the upper segment. 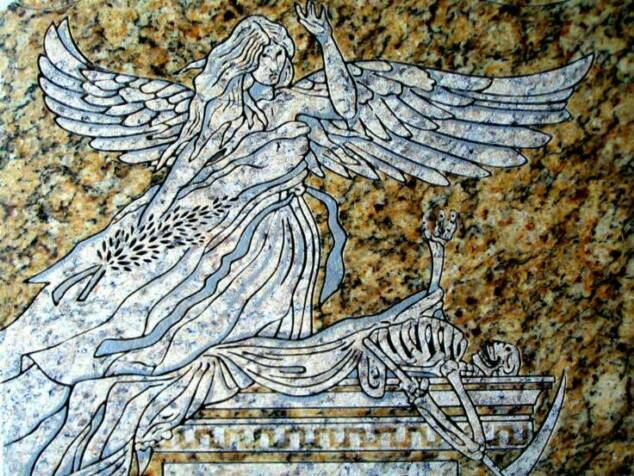 A tasteful accurate modern rendition of ancient icons meant to last for eternity. Monument designs are limited only by the properties of the material. 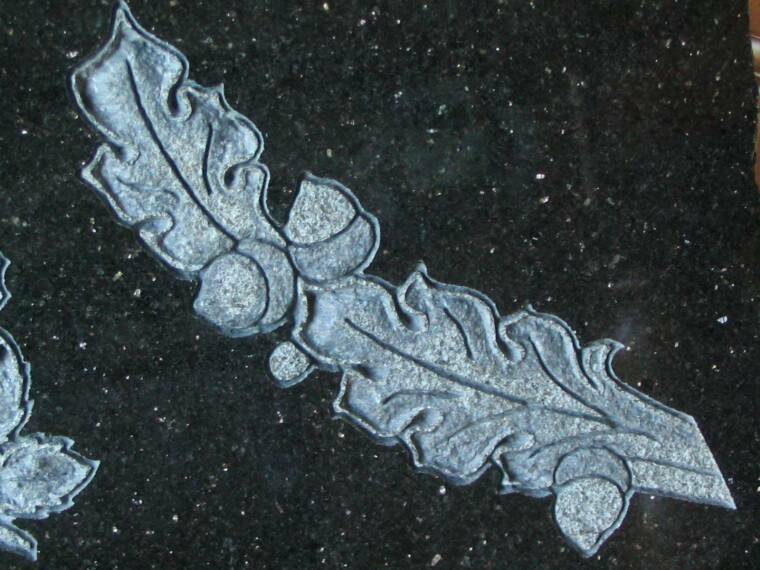 Carving in granite is a balance between linework, texture & contrast. Below are examples of unique designs using good balance with classic techniques. Your thoughts, wishes, lifestyle, passions & religious preferences can all be a part of a lasting memorial. Traditional techniques vary little between monument makers. 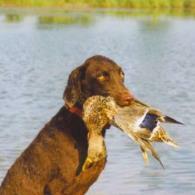 Quality being the only distinction. 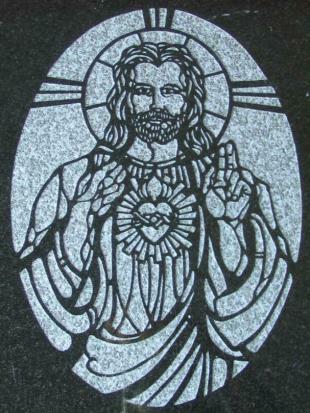 Traditional motifs, however, are disappearing as modern tastes have evolved from classic allegories of spiritual phenominon, such as "Salvation" shown below, to more contemporary icons of faith. I provide customized designs to suit all needs. Though sculpture is more expensive, some techniques are still widely used on standard monuments. Three dimensional sculpture has given way to a process refered to as "depth carving." It brings depth & movement to a flat surface creating numerous opportunities for wonderful designs. 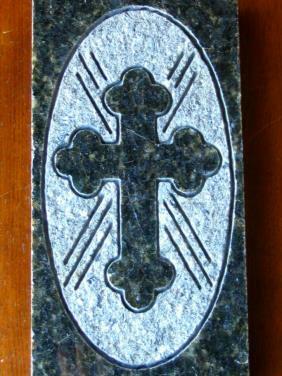 While granite has many beautiful colors, sometimes it is necessary, and desirable, to enhance a piece with pigment. This example demonstrates that color can accentuate the engraved lines of the design. 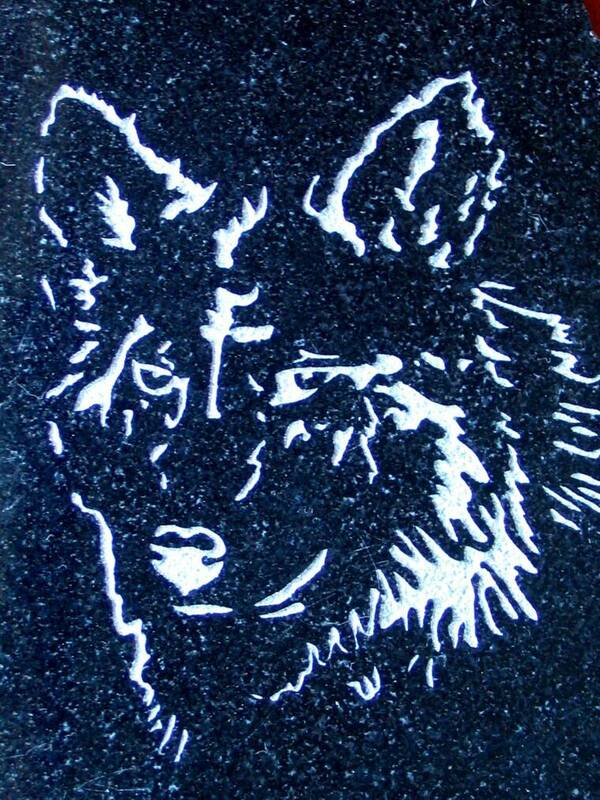 "Perseverance" 11" x 20" x 1"
Etching is an engraving process that removes granite material to create very fine lines. 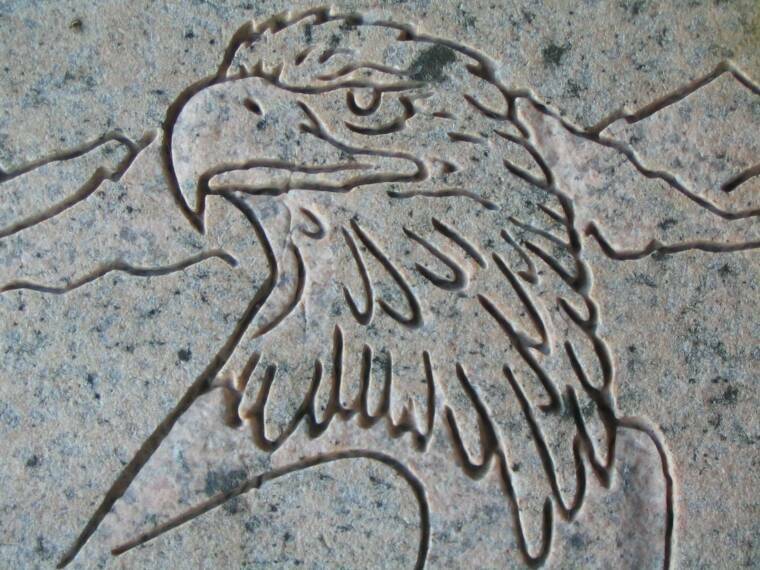 Extremely detailed subject matter from buildings, machines, animals & scenery can be placed on monuments. Photos of loved ones can also be transfered as lasting images. 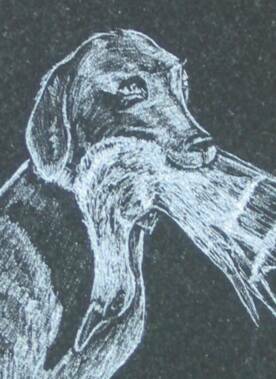 All my etchings are done by hand with special tools. 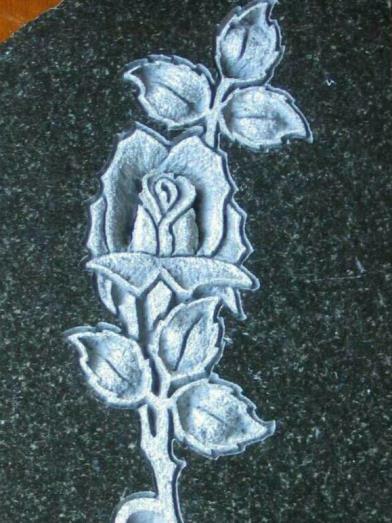 It is a time-intensive technique that provides an unparalleled artistic touch to any tribute.